The Swiss Travel Guide is the first public transport app for tourists and the ideal companion for travels by train, bus and boat throughout Switzerland. Thanks to this app, available for iOS and Android, any journey through Switzerland can now be planned to perfection, and the visitor never misses a highlight. The Swiss Travel Guide app is a digital travel guide for tourists as well as locals who want to explore Switzerland by public transport. By means of an integrated map, the app indicates regional highlights, which can be added to the individualised cockpit. 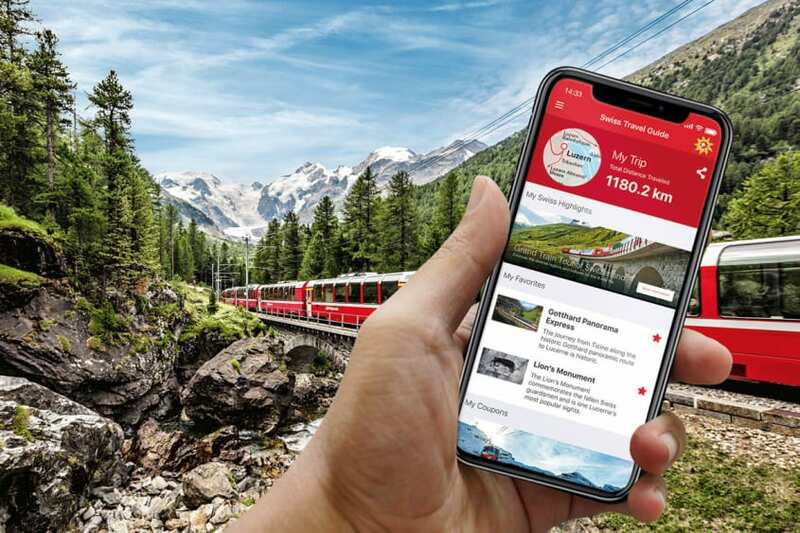 Inspiring panoramic trains, mountain railways or museums: over 500 highlights can be called up with the Swiss Travel Guide app. Due to direct access to the SBB timetable as well as interactive maps of train stations, guests can make the most of their Swiss journey and thus never miss a highlight. Discounts on culinary delights, guided city tours or mountain railways: Digital coupons can be downloaded once and redeemed on site. With the integrated share function, travellers can share their personal travel statistics (amount of kilometres travelled) via Social Media channels anytime. Important contact numbers regarding lost-and-found offices, timetable information or transport police can be accessed offline at any time. Regarding all other questions or requests, please contact our Media & Trade Team via the contact form.